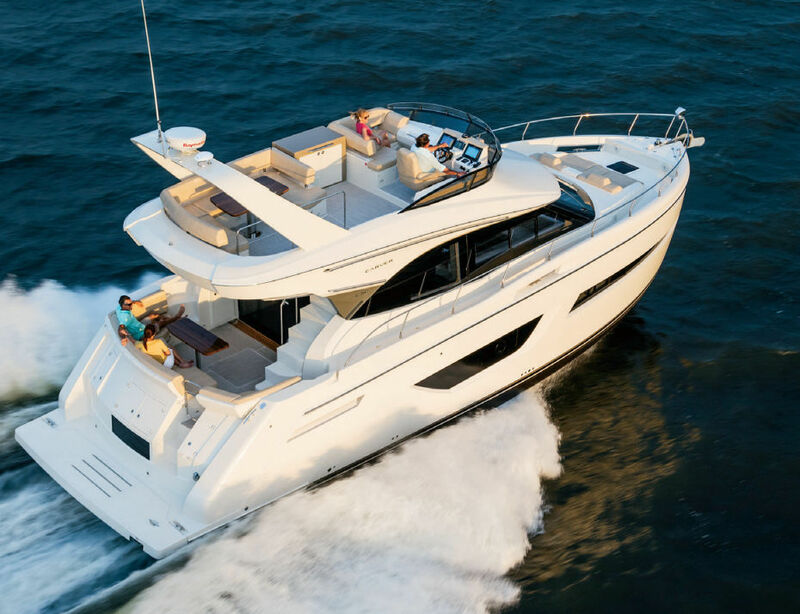 The new Carver 52 Command Bridge offers three staterooms and two heads in one of the most spacious layouts of any boat in its class. 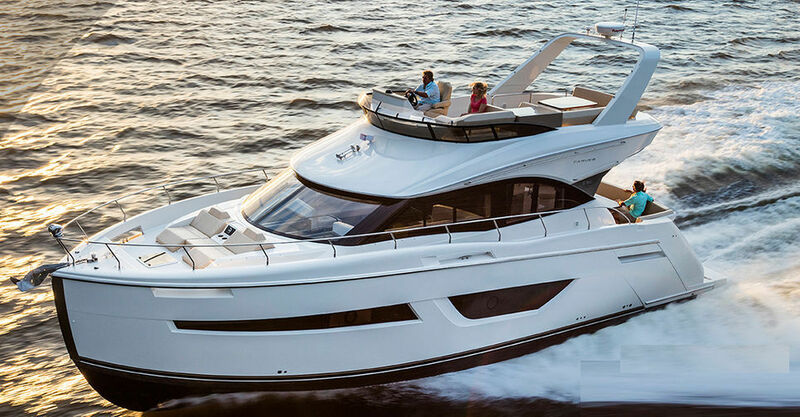 Owners will enjoy its large, open-concept cockpit with fully opening glass doors. 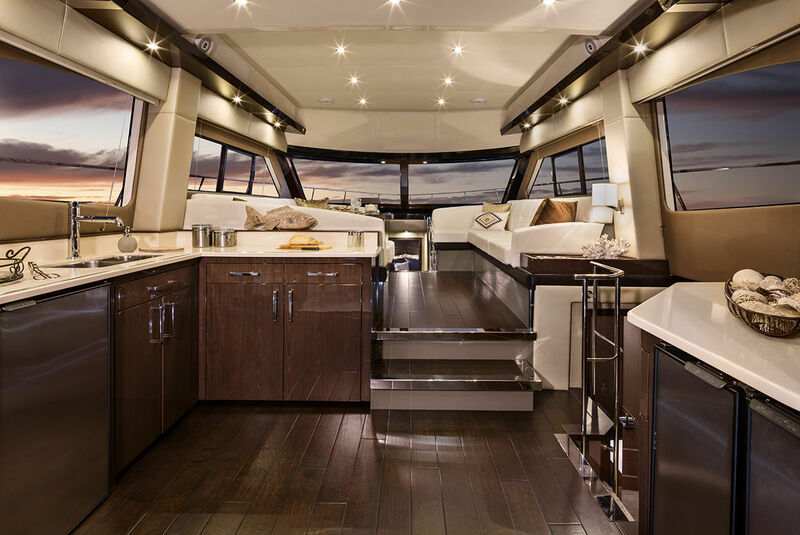 The flush threshold leading to the spacious salon with wide side decks offers easy access to the large foredeck seating area. Unique design elements include, a full-beam master stateroom with private entrance and a master head with a large stall shower. 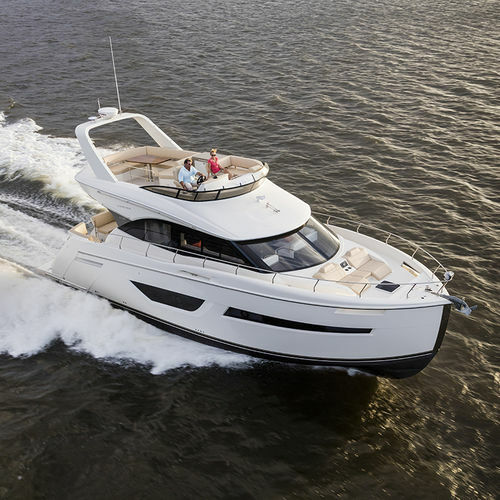 Two additional staterooms, a second head with a stall shower, a large aft galley, and a host of well-thought-out amenities. From bridge to salon, make this one of the most exciting new model introductions in Carver history.